At the end of next month, Coca-Cola Bottling Co. UNITED’s Walter Body will retire after 42 years at the Birmingham-based company. Body, the director of multicultural communities and consumers for the central region of Coca-Cola UNITED, knows that type of longevity in a company is rare these days. 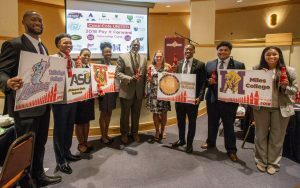 So, three years ago he created a program, Pay It Forward, to instill in college students at Historically Black Colleges and Universities (HBCUs) the history of Coca-Cola UNITED, so hopefully at least some of them could find their right fit at the company and serve it as he has for nearly half a century. For the first two years the company hosted 10 students representing five local HBCUs. In its third year this past summer, the program expanded and hosted 25 students representing 14 HBCUs in five facilities across its footprint – Birmingham, Montgomery, Baton Rouge, New Orleans and Sandy Springs, Ga. The week-long internship program offered students a firsthand look at careers the company offers, including sales operations, productions, marketing and community relations. Coca-Cola UNITED has experienced explosive growth recently. 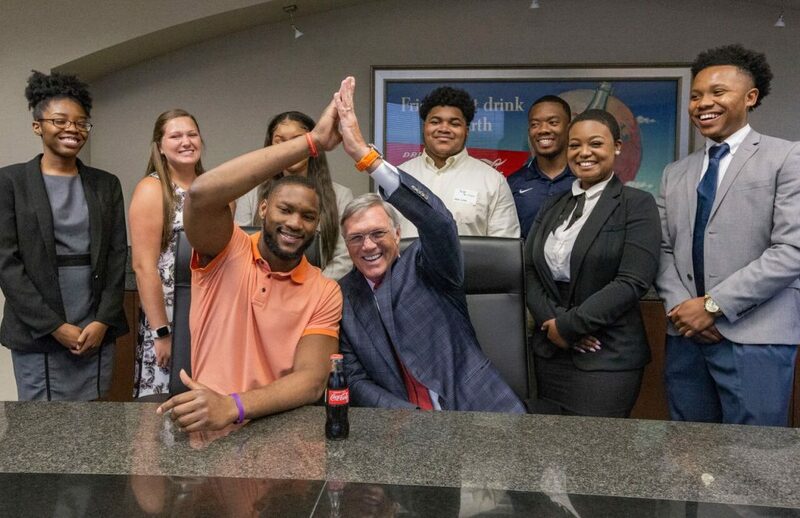 Last year it expanded into Coca-Cola’s hometown of Atlanta and added seven additional territories in Georgia, with 2,000 associates joining UNITED through an acquisition and 200 new jobs being added. It is the third largest bottler of Coca-Cola products in the United States and the largest privately held Coca-Cola bottler in the North American system, with 860 local employees. 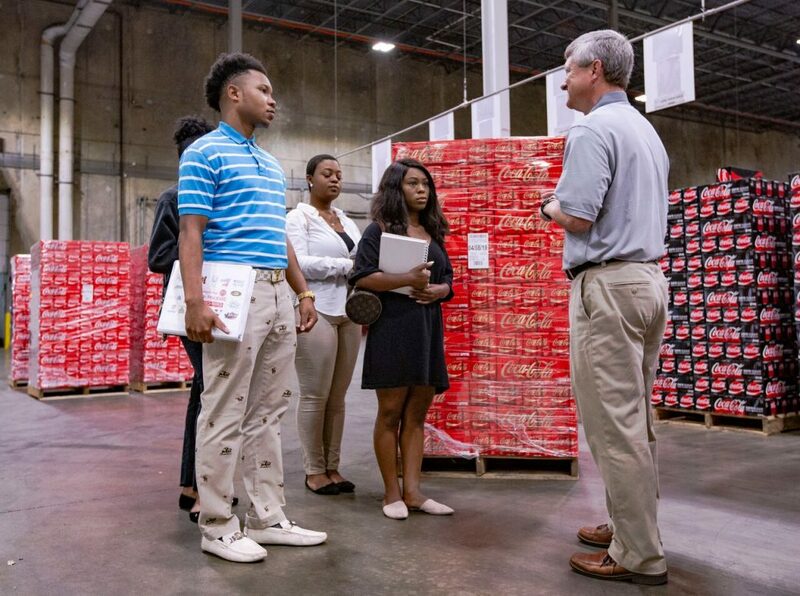 In the Pay It Forward program, students learned the history of the company, how it markets and brands itself and how the products – including Coca-Cola, Diet Coke, Dr. Pepper and POWERADE – are produced and distributed. Participants spent time with everyone from Coca-Cola UNITED board members to people on the street, delivering the products. “They saw the process from the beginning to the end,” Body said. It was a meaningful experience, said Alyah Sheppard, a junior and accounting major at Alabama State University and a 2018 graduate of the Pay It Forward program. Body said students’ participation in the program could definitely translate into full-time work. “We are encouraging [the students] to fill the pipeline with specific needs and take full advantage of the program,” he said. The only requirement for the program is that students have a 2.5 grade point average. In addition to the exposure and experience, students receive a $1,000 stipend to help with books and tuition going into the fall semester. While most Pay It Forward graduates are still in school, many come back and serve as ambassadors for future classes, like Quin Kelly, a student in the 2017 program. The program encouraged Kelly, a pre-law major, to pursue an MBA. “Interning at Coca-Cola UNITED was a driving force behind that decision,” he said. Kelly said he’s stayed in contact with people at the company, especially Body, and that it’s possible he could return and work there after his studies are completed. As Body looks towards his retirement, he’s unsure of who will replace him as the coordinator of Pay It Forward, but knows it will continue. This article originally ran on the Birmingham Business Alliance’s Regional News blog.